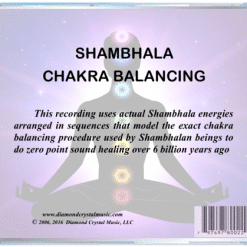 This recording uses the actual energies of Shambhala to balance chakras with a zero point procedure the Shambhalans used over six billion years ago. 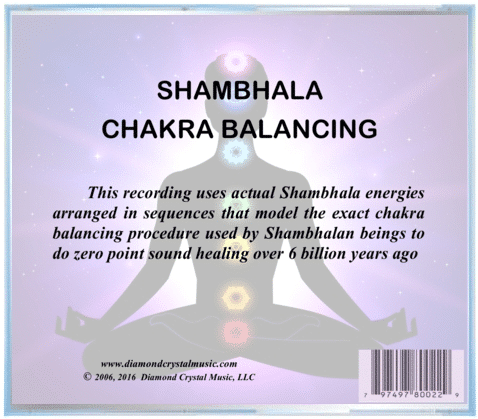 The Quantum Sensory Experience™ crystal healing technology is used to replicate an ancient method of chakra balancing using a zero point technique with sound. The process also connects you to the magic of the universe and aligns you to higher levels of wisdom. Shambhala is an actual physical area located northeast of Tibet. 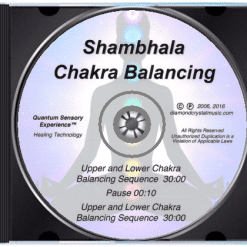 The Shambhalans were the first consciousness on earth (other than the consciousness of earth herself). Representing love and light, these beings used a telepathic transference of sound for healing, and preferred working with groups rather than individuals. 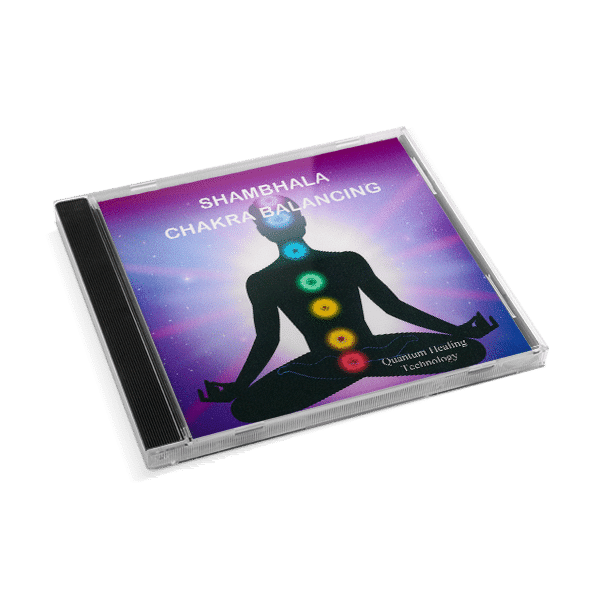 At an essence level, the Shambhala energy helps you develop a faster acceptance of yourself, particularly in the area of taking responsibility for what you create. It also assists you with making transitional changes more smoothly, and supports maintaining an increased level of wisdom after going through those changes. 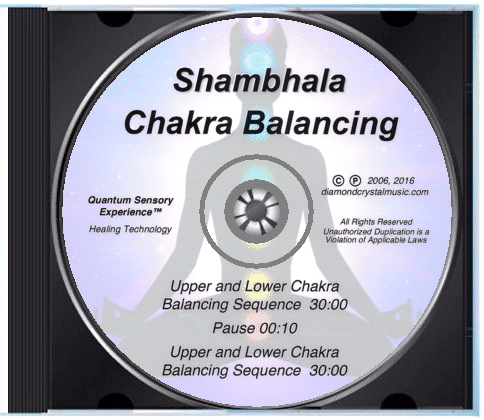 Crystalline tones of Shambhala healing energies are blended into tonal sequences that model the exact protocol of upper and lower chakra balancing used by the Shambhalan beings. The balancing is completed in 30 minutes, which is all that is required. 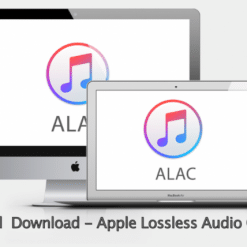 However playing the CD to the end repeats the process and provides a safe double dose. You do not have to focus your attention on the sound, although some people enjoy meditating during the balancing experience. It’s great for personal use at home. 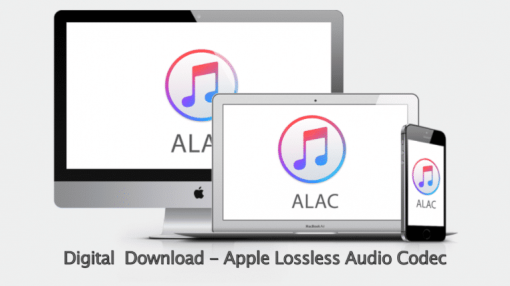 There are also some practitioners who use it for a background during therapy sessions. 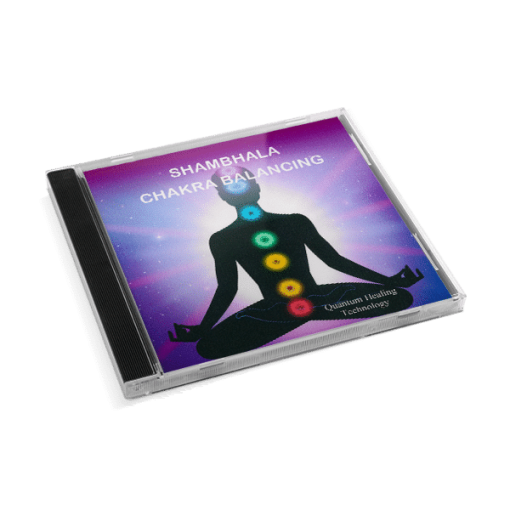 It was developed by psychoenergetics scientist, Shad Diamond, to help “Open the Mind, Heal the Spirit and Regenerate the Body”™. What an unexpected twist – It seems like I’m getting better results with my patients when playing this in the background.